What if all the stories you heard were true? 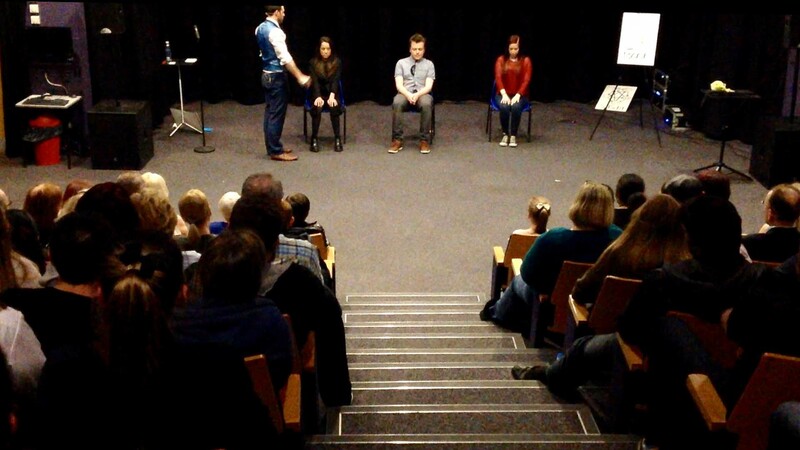 Urban legends contained within declassified files are recreated live on stage by master hypnotist Aaron Calvert. 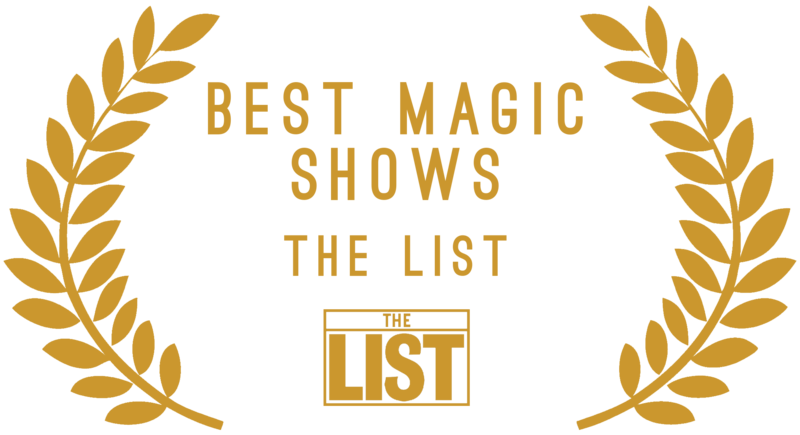 Best Edinburgh Fringe magic show 2016 & 2017. What if all the stories you heard were true? 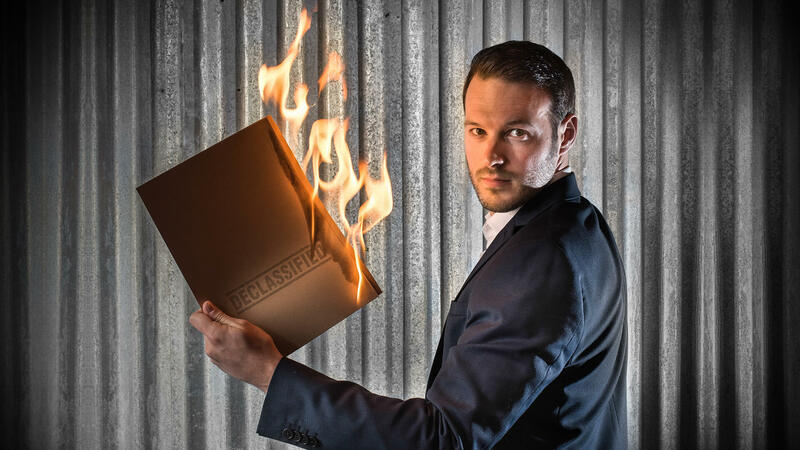 Urban legends contained within declassified files are recreated live on stage by master hypnotist Aaron Calvert. Sell-out shows 2016 & 17. 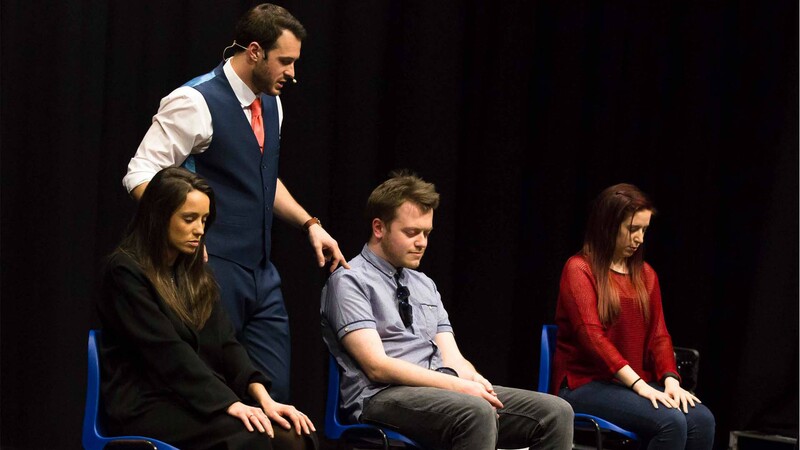 Calvert combines his astounding skills in hypnosis, magic and mind reading to demonstrate inexplicable feats. 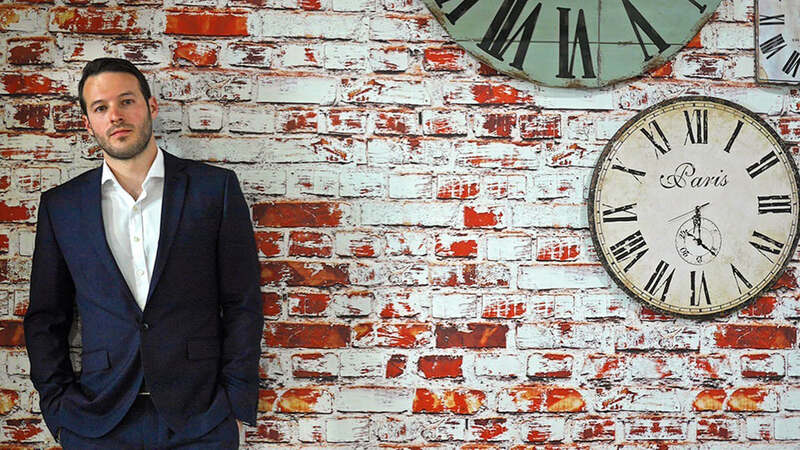 Star of Channel 4’s hit new TV show, Calvert’s power of suggestion pushes the boundaries of what people can, and will do. Seeing really is believing. Following two consecutive packed-to-the-rafters Edinburgh Fringe runs at the Free Fringe with ‘Mind Games’ in 2016 and ‘Awaken’ in 2017, and fresh from filming a highly anticipated Channel 4 special (airing in early summer 2018) Aaron Calvert, is heading back up to the Fringe, this year to the Gilded Balloon, with his new Edinburgh Fringe magic show ‘Declassified’. "Have never seen anything like it! Amazing!" "Absolutely loved your show today!! Will definitely recommend!" 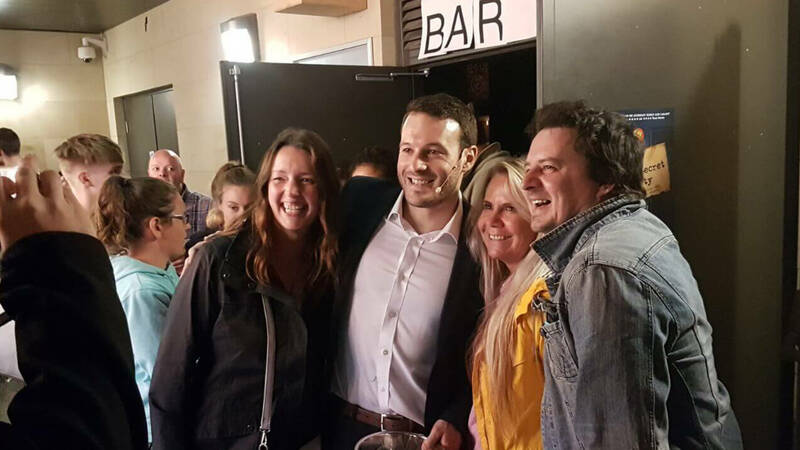 "The show was absolutely amazing! He was great with the crowd and he's tricks were unique. 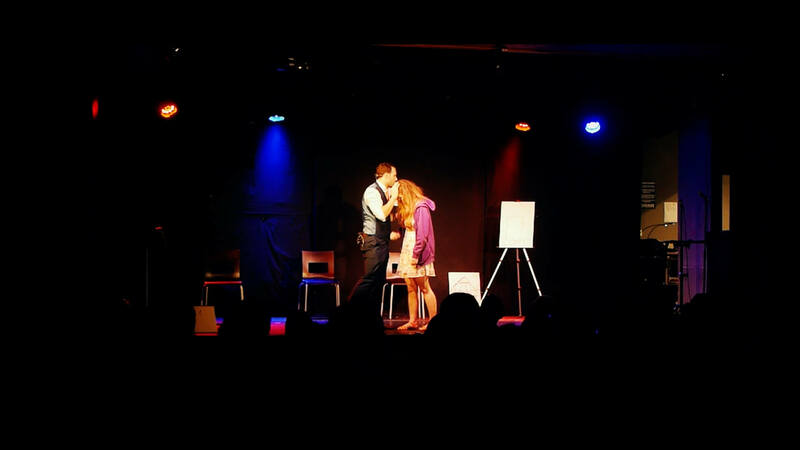 I got hypnotised on stage, which was a truly unique experience. 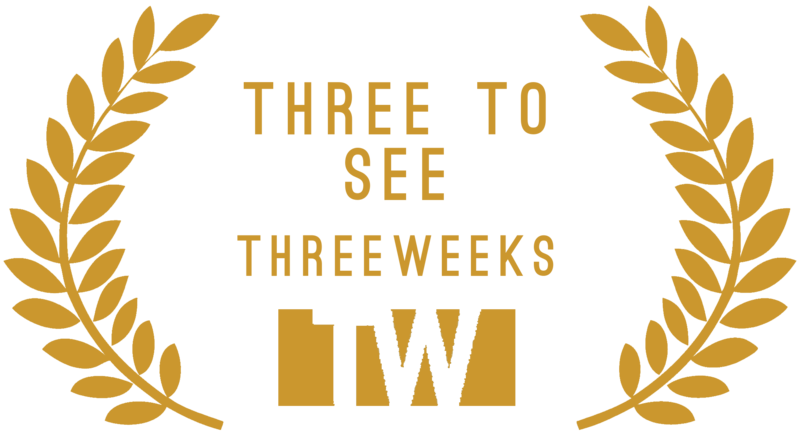 Would definitely see it again soon." 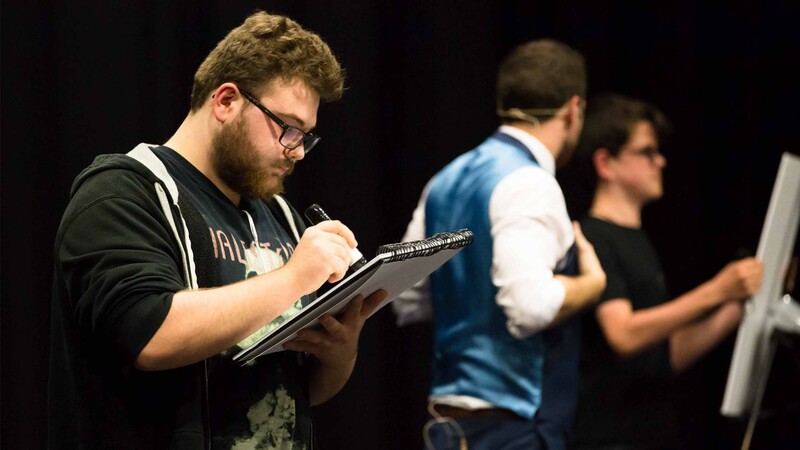 "Team Tyrannosaurus Sketch were blown away by @aaron_calvert! Unbelievable hypnotism and mind reading wrapped up in one show! 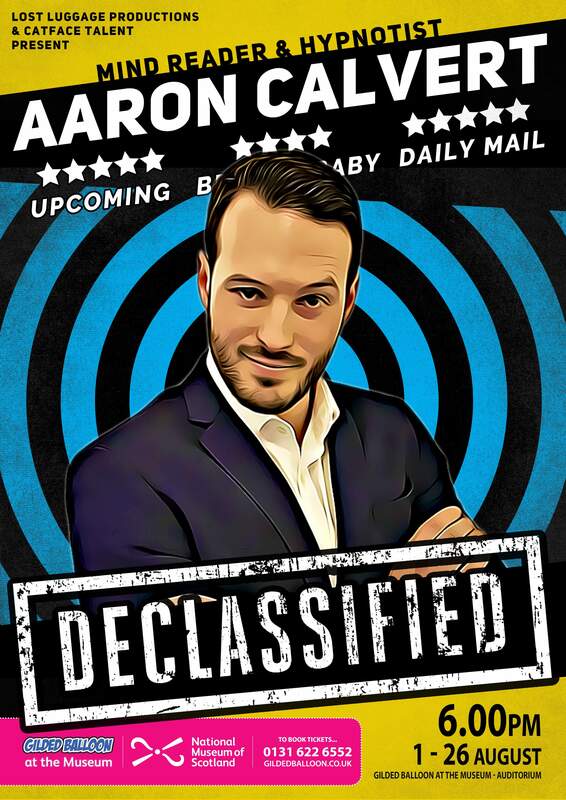 #edfringe"
If you’ve already seen DECLASSIFIED and you’ve not quite had your fill of mind reading and hypnosis, Aaron guests at a number of EdFringe show Aaron Edinburgh. We’ll keep this list up to date with all of his upcoming performances. Keep your eyes peeled for Aaron’s top EdFringe magic and show recommendations coming during August 2018. 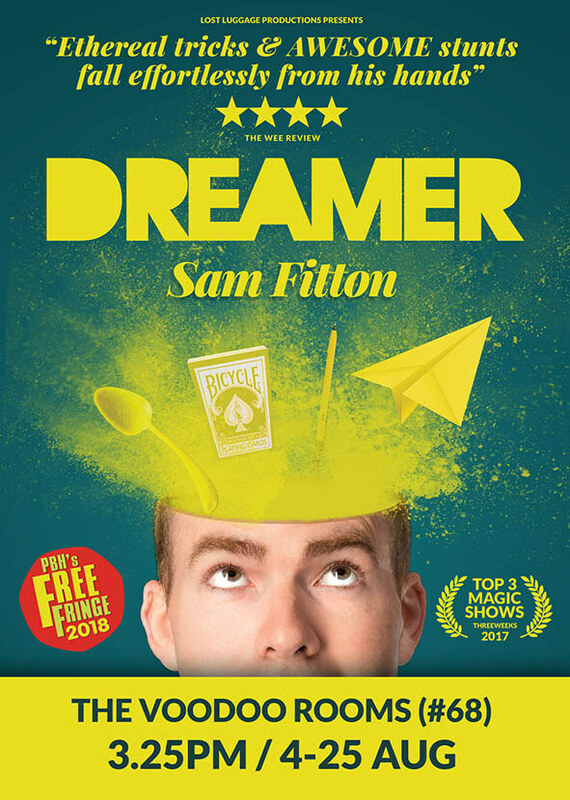 Combining magic, theatre & special effects Sam is shaking up the traditional magic show and previewing his 2018 Edinburgh Fringe magic act in his home town of Manchester. 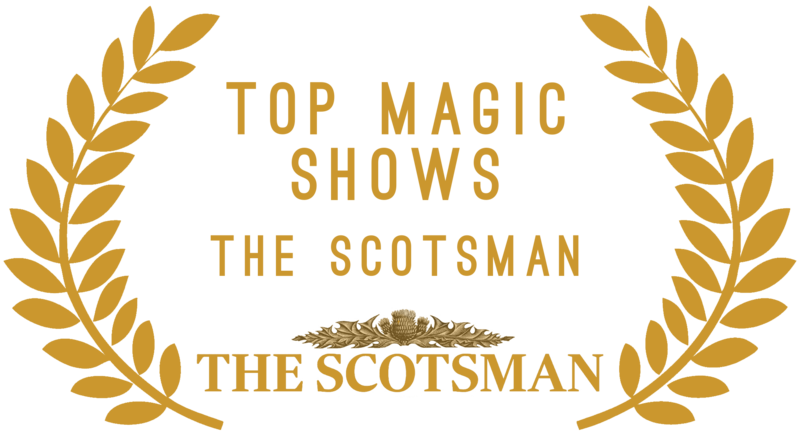 Sleight of hand mastery, witty showmanship & inexplicable feats combine as Sam spins stories through a series of phantasmagorical scenes. Step inside the mind of a professional dreamer and let your imagination run wild. ★★★★ The Wee Review. 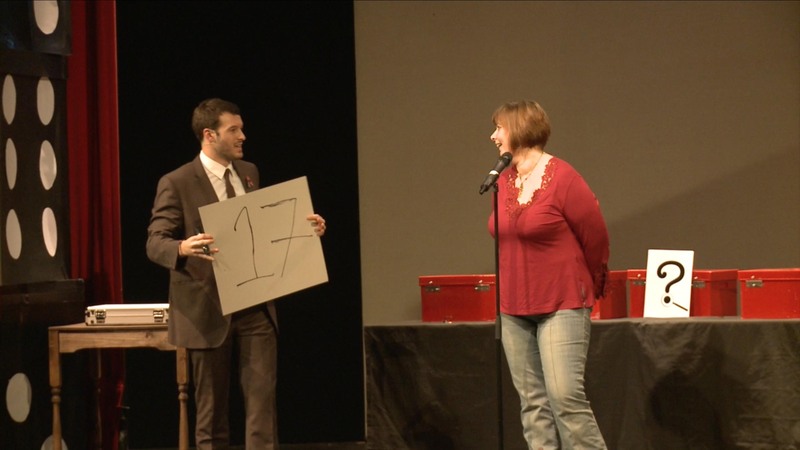 The pioneers of slapdash magic are back with another mishmash of magical mayhem! 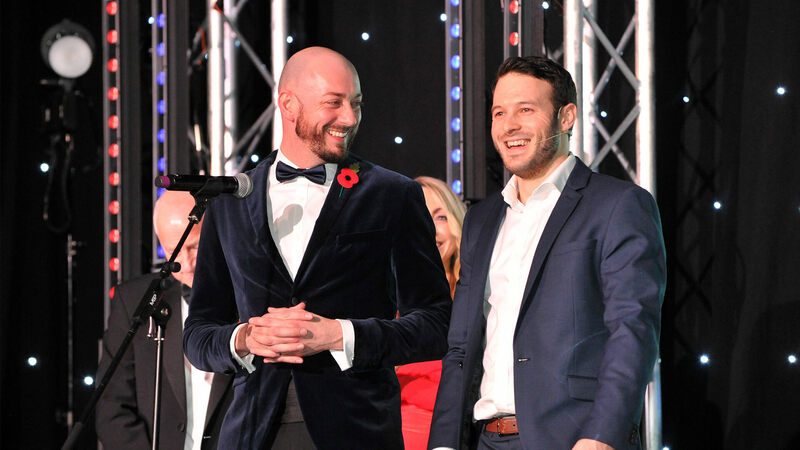 These award-winning idiots have become famous for their fast banter, tight chemistry, contagious energy and show-stopping wizardry. ‘Machine-gun patter’ ★★★★ 1/2 The Reviews Hub. ‘You must see the show!’ ★★★★ Broadway Baby. ‘Very funny magicians’ Paul Zenon. 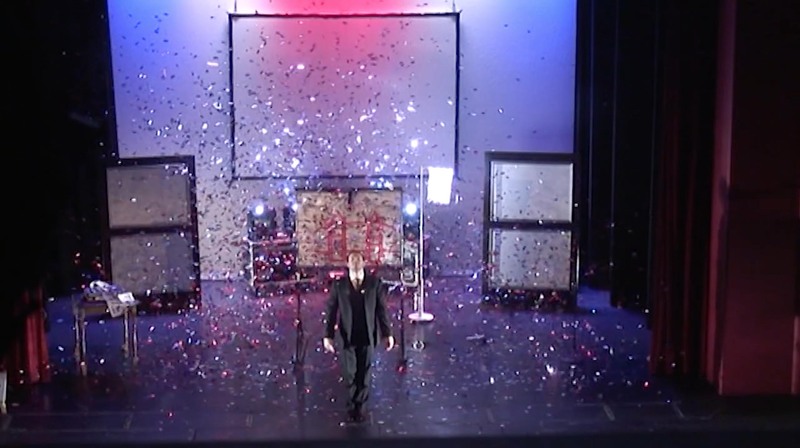 ‘Bizarre, hilarious, and anarchic’ Magic Night. Check out Trickorice Allsorts. Super excited to say the first few live dates for the year are in! You can catch me Hebden Bridge Trades in #Yorkshire as part of The Conscious Cabaret on April 26 and down in #Bordon in #Hampshire at the The Phoenix Theatre & Arts Centre on June 21 head to the website to grab tickets! Can not wait!!!! 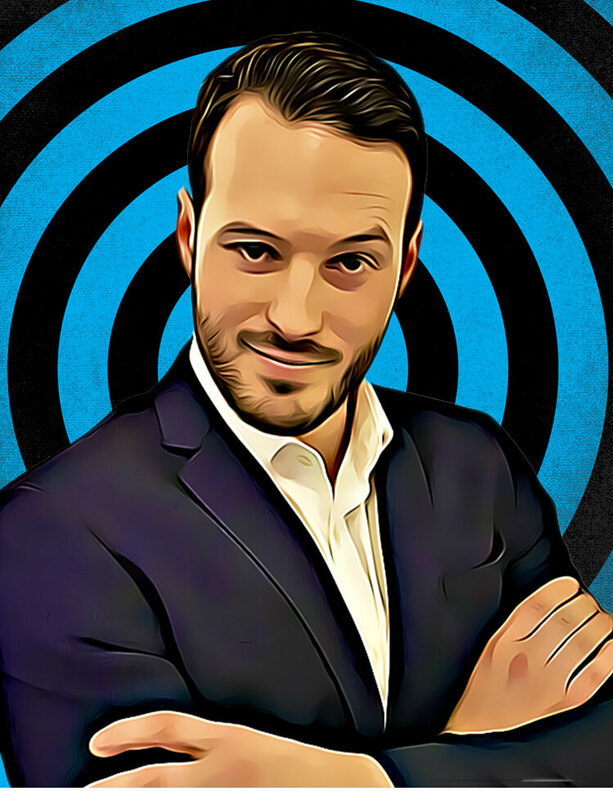 Aaron’s mastery in mind control, hypnosis & psychology, combined with his background as a doctor makes this show a fast paced, edge of your seat experience. It’s time to AWAKEN your hidden powers. 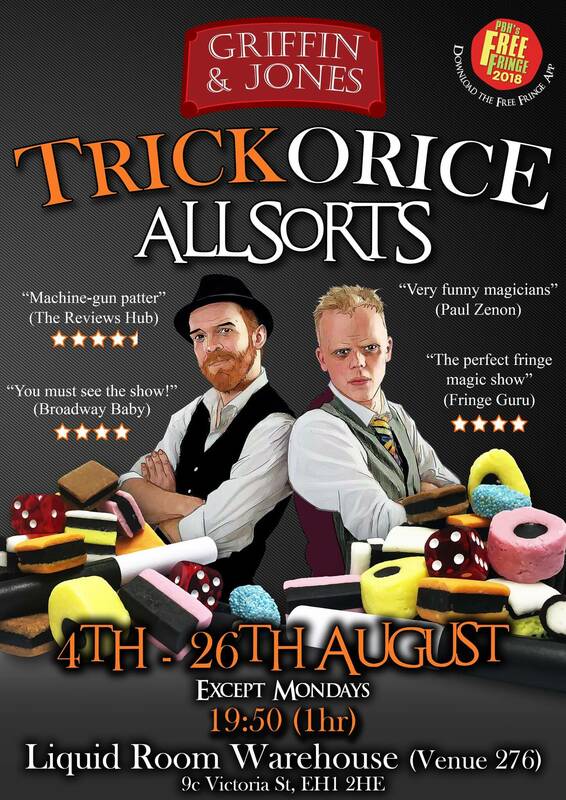 Written by Aaron Calvert & Sam Fitton as part of the PBH Edinburgh Fringe magic programme. TICKETS: That’s the best thing about the show, you don’t have to buy tickets in advance, the show is open to everyone as part of the PBH Free Fringe! Suave, debonair and immaculately presented, Aaron Calvert has the audience entranced from the opening seconds of his new show, Awaken. Calvert’s blend of magic and hypnosis contains moments that made me gasp, and it certainly has that most important mark of a good performance – I am still thinking about it. The acts themselves defy explanation and to describe them here would be to ruin the show for anyone who wants to see it. Suffice to say, expect plenty of audience interaction and a full, dazzling hour. All I will say is that the methods he used to select audience members to be a part of his act were such that any doubts about planted stooges I may have initially had were soon dismissed. 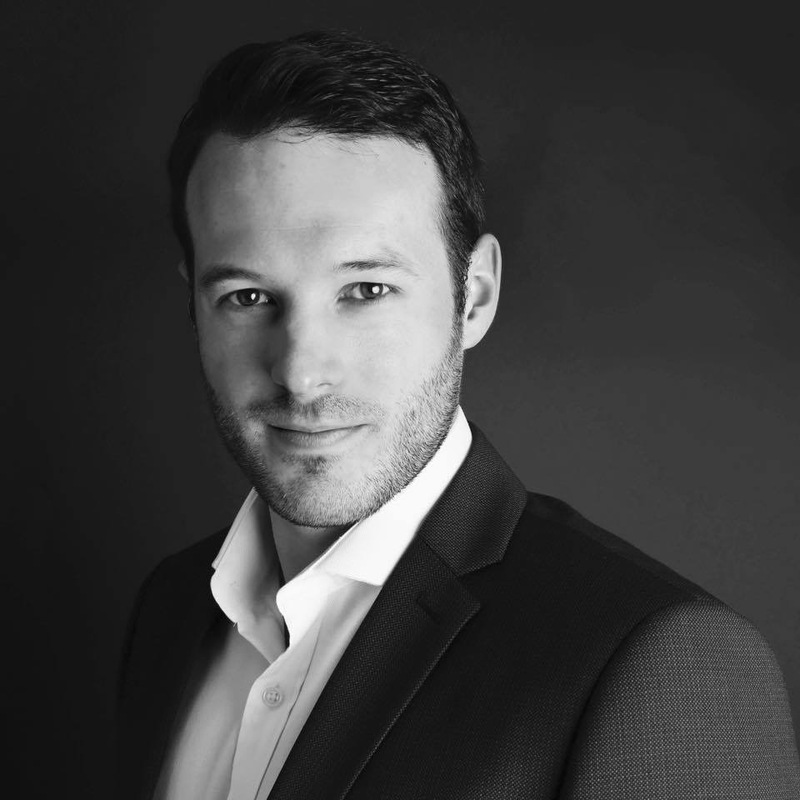 As we announce the various cabaret and variety shows Aaron will be performing at across the fringe we’ll post them here. Check back regularly. If you loved Aaron’s show Awaken or you’re just looking for a little more magic at the Edinburgh Fringe here are my top recommendations of other shows you might enjoy. 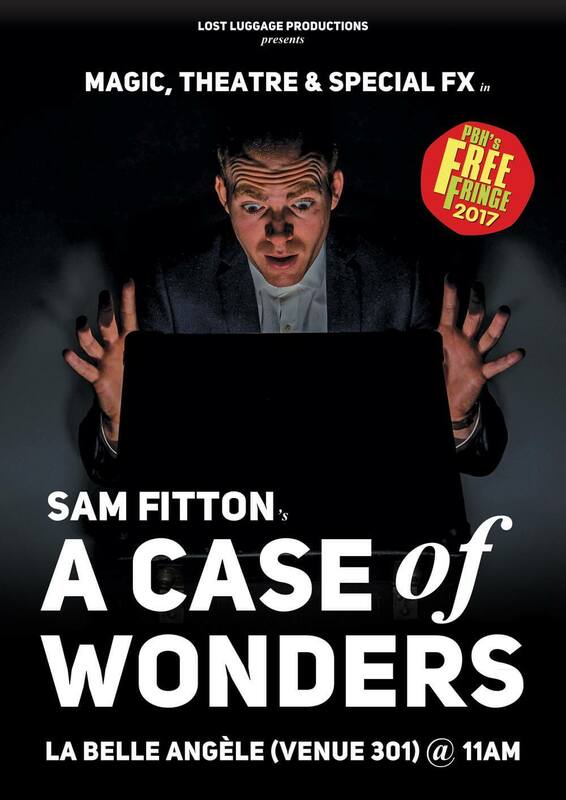 A theatrical twist on the traditional magic show, A Case of Wonders combines magic, comedy and special effects in its Edinburgh Fringe magic debut that promises to be something out of the ordinary. “Brilliant, confident & highly accomplished” ★★★★★ Virgin Ltd – After missing his train Sam is left stranded on a station platform when all matter of strange goings on occur. 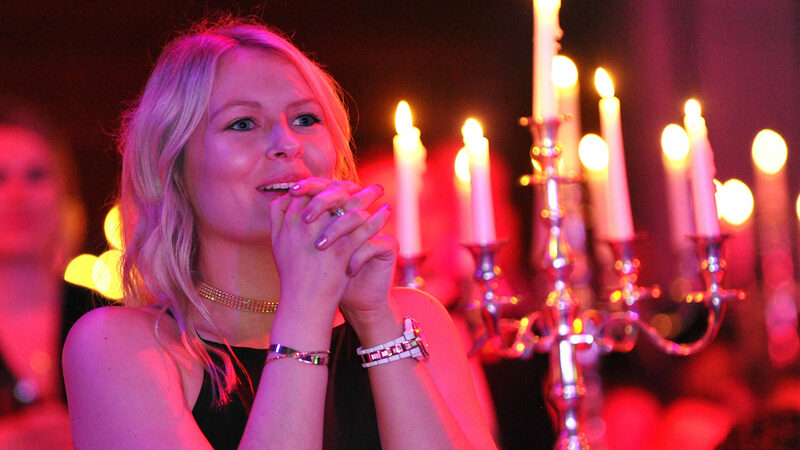 “Bloody brilliant entertainment! Lots of laughs and magic. 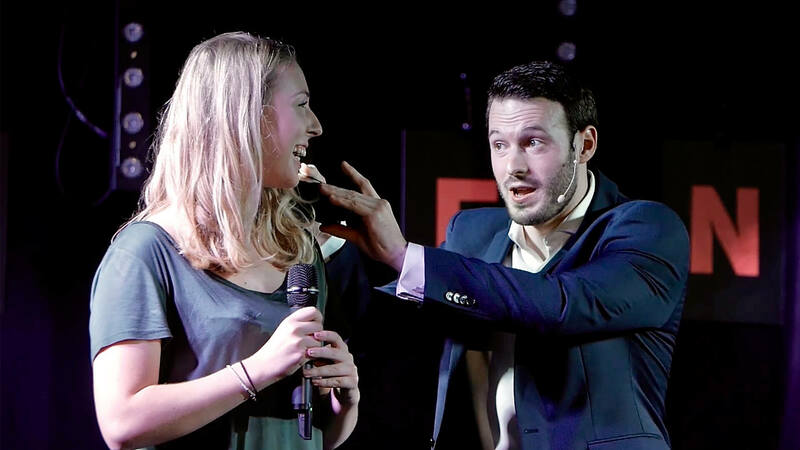 Sam’s the whole package” K.Torres – With razor sharp comedy, award winning magic and audience participation, Sam Fitton’s A Case of Wonders is certain to be full of surprises. 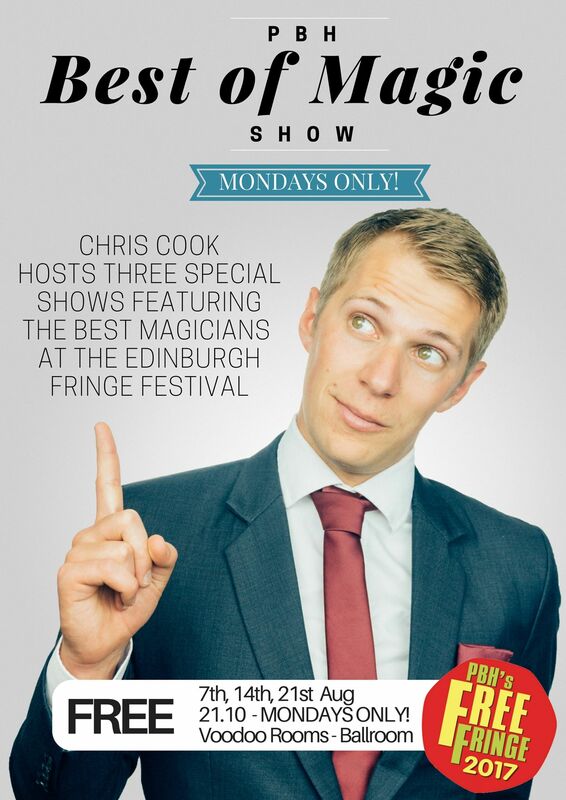 For two nights only, Chris Cook hosts a very special compilation show featuring snippets from the best magicians on the PBH Free Fringe. 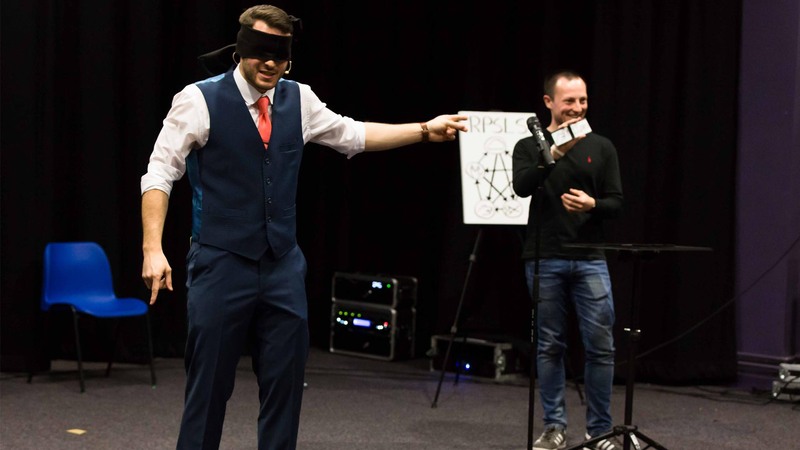 Set in the lovely Voodoo Rooms, just off Princes Street in Edinburgh, as part of the Edinburgh Fringe Magic programme at EdFringe in 2017, this show features magicians, mind readers, hypnotists and nerds – no really, the nerd is super good with rubric’s cubes! 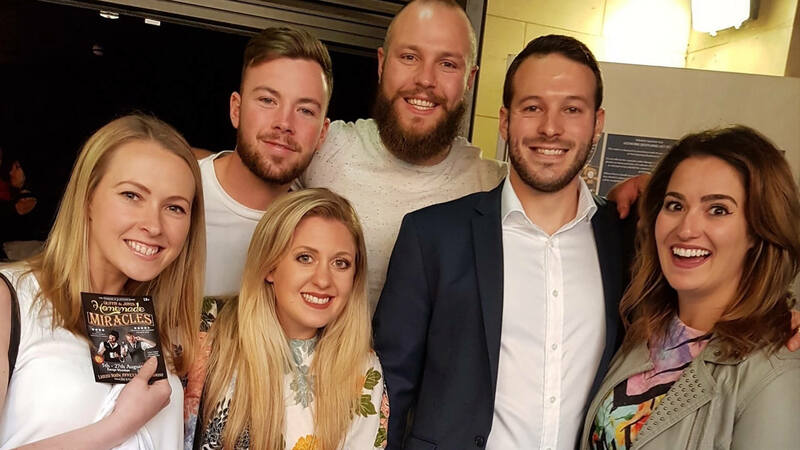 Featured acts included Aaron Calvert (mind reader and hypnotist), Sam Fitton (magician), Thom Peterson (comedy magician) and Tom Crosbie (professional nerd). Turn up early as this show is expected to sell-out. 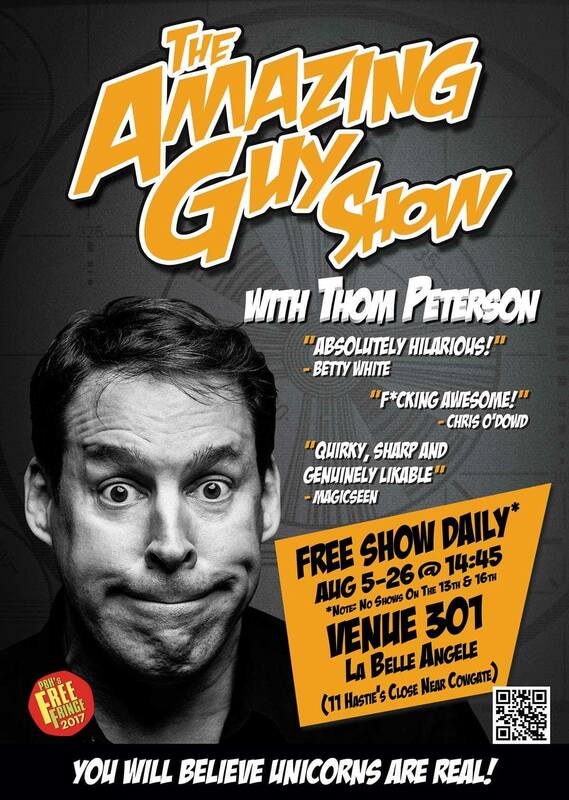 Thom Peterson is The Amazing Guy! 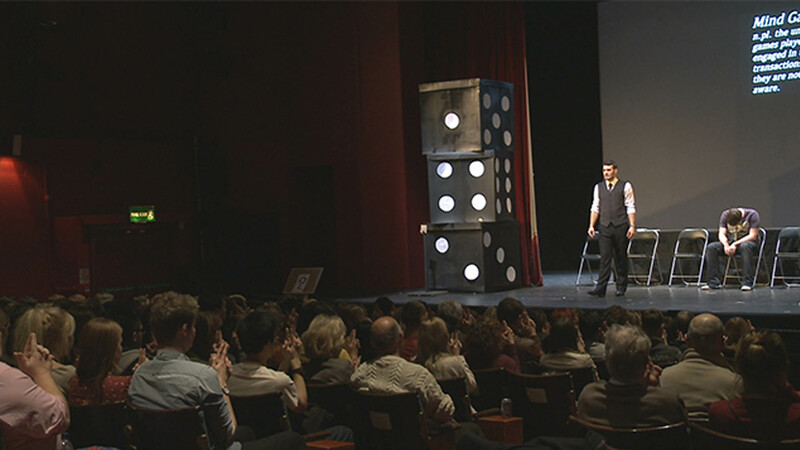 A one-man flash mob of magic and comedy. Join him as he turns your Fringe experience into a slumber party of fun and mystery. Grab a drink, grab a friend and grab a seat for magic that will blow your hair back, and comedy that’s illegal in five states (or at least… frowned upon). You will believe that unicorns are real! ‘You are so funny!’ (Betty White). ‘That was f*cking awesome!’ (Chris O’Dowd). Coming all the way from the United States of America for this one hour show, it is definitely not one to miss. 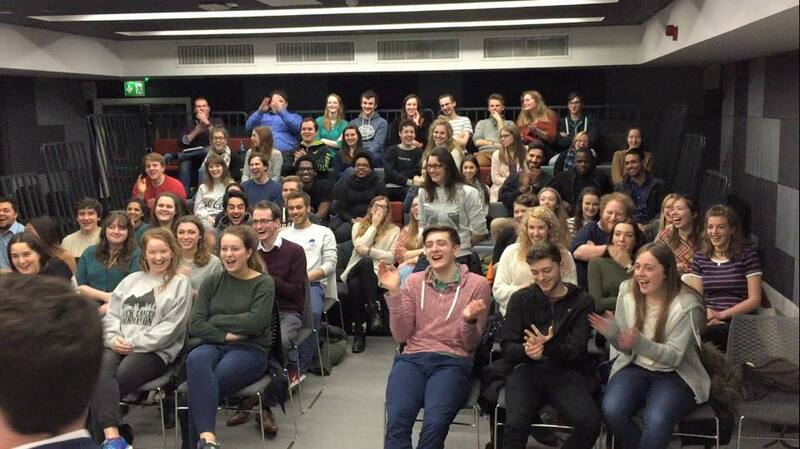 Catch The Amazing Guy Show straight after Aaron every day in Edinburgh. "On the train home and I can't stop thinking about those words! Fabulous part of my EdFringe! Thank you for the experience!" "We checked out @aaron_calvert yesterday! Jamie said it was amazing, and he loved the part where Hannah got hypnotised. Well worth a watch." "Hypnosis and psychology show with @aaron_calvert today was AMAZING! We were shocked and amazed #marmite"
"Just attended one of Aaron's shows at the Edinburgh fringe. Really enjoyed the show. No idea how he does what he does but, WOW! He also brings a touch of humour to his shows as well. Thanks Aaron"
“Spellbinding... Calvert Beguiles and baffles us throughout"
"A talented showman that will leave you baffled." The List covers all shows heading to EdFringe, be sure to check out what's happening this year. 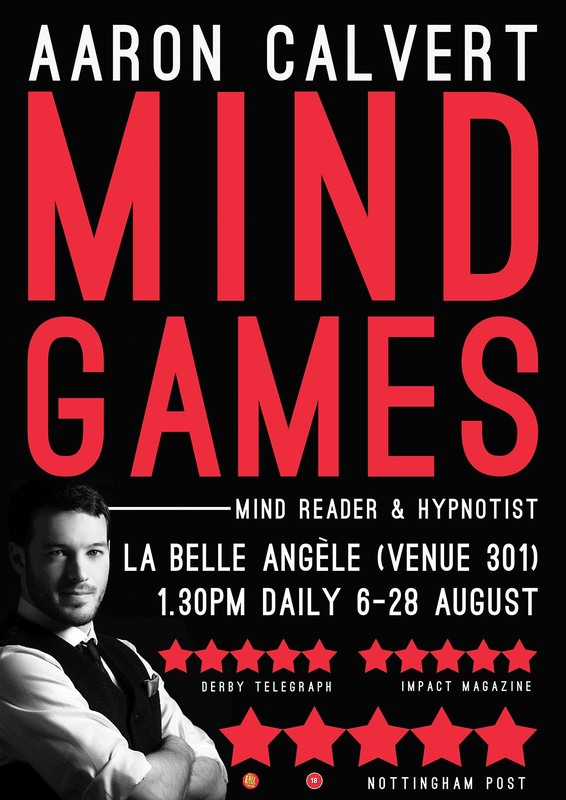 Astounding mind reading & fascinating hypnotic feats await in Aaron Calvert’s highly anticipated Edinburgh Fringe debut. After qualifying as a doctor of medicine, Calvert left the field behind to enter into the world of psychological entertainment. 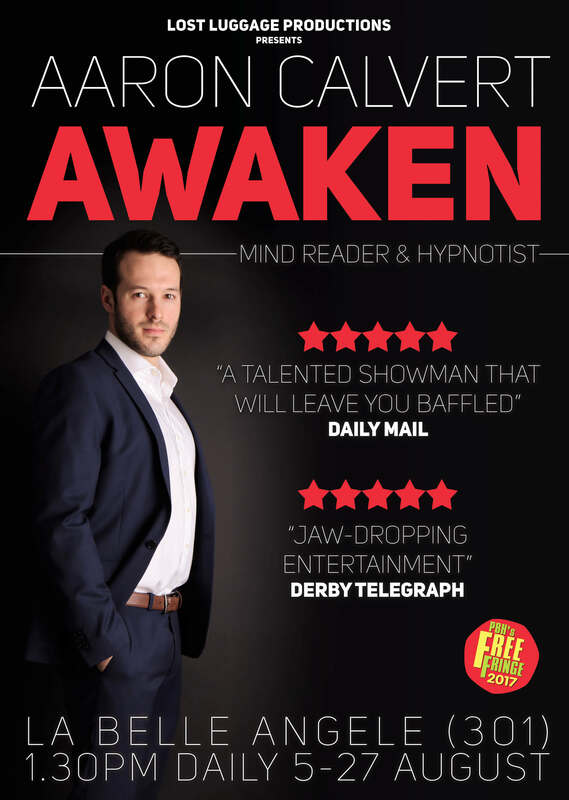 Using his skills in psychology and hypnosis Aaron has produced this fast-paced, edge of your seat show showcasing his mastery of mind control. Written by Aaron Calvert & Sam Fitton. Part of the PBH Free Fringe’s Edinburgh Fringe Magic programme.